Keeping up with The Caseys: Damn You Pinterest!!! Sometimes when I am rummaging through the photos on my computer, I go through the photos from our wedding. Even though we have only been married for about 2 years, there are so many things I would already change. I swear if it wasn't for Pinterest I wouldn't be second guessing any ideas. Damn you Pinterest!!! 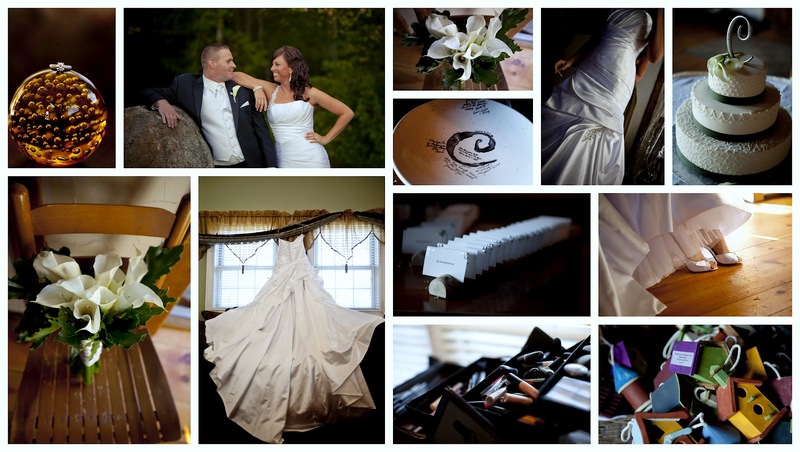 Included in our photography package was not only the rights to all of our photos on a disc but a coffee table book with images that we choose. I still have not picked out my photos for my book yet. I know, what am I waiting for? I'm a procrastinator with things that have already been paid for. I know that sounds bizarre but if I had to pay for it after the fact, I would have had it done the second we got our photos. Regardless of how many things I would change, I know that day will always be unique to us. I definitely think that how much time you have to plan your big day plays a big part. I planned our entire wedding (and spent whatever I wanted) while the hubs was deployed :) He knew he just needed to show up aka get himself home safely. I hand painted 125 mini birdhouses as weddings favors. This was a great busy project to pass time. Not ONLY did I became a pro at painting but also at wine drinking. And when you put those two together, you get seriously creative! With the help of my sister and my mom, there were plenty of different ideas AND empty wine bottles. I wanted a keepsake from our big day that couldn't be eaten on the way home, or wasn't just another trinket that was way to personalized to implement in your everyday home. These were perfect and one of a kind. There is always going to be something more unique than yours, but I fully believe that if you are the originator, nothing beats that!!! The style for your wedding is also a era. I look back at my sister's wedding, it was in the 80's and it was the best for it's time. She had the best of the best! Regardless of the shoulder pads, baby's breathe with AquaNet, and a 3 tier water fountain wedding cake with iridescent lighting, it was hers and that's what mattered. I fully abuse Pinterest now for house ideas, recipes, DIY, photos and more. Pintervention, Pinspiration and Pinformation are all okay with me! And yes, just like everyone else, there are days that I feel stupid and say to myself "Why didn't I think of that?" LOL. As a newly engaged girl, I must put in my thoughts here. I have a very love/hate relationship with Pinterest when it comes to wedding planning. It's so great for giving me ideas, but also it can be overwhelming! I love your pictures! And that you did birdhouses for your favors - how unique! Thanks Nikki! I think the word Pinterest should mean overwhelming!!!! I enjoyed wedding planning so much. I loved making things our own. Congrats on your engagement and happy planning and spending. Lol. 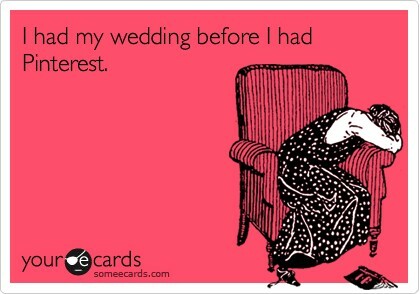 Fortunately for me my wedding hasn't taken place so I'm abusing Pinterest in every well possible. The sad part is that I'm not even engaged yet.